Bright Ideas! Volunteer Spot | Primary Planet! This is a free online sign up sheet! Oh my goodness! So, I am trying it for our upcoming pumpkin math. It only took about 5 min. to set it up. I have it set it up for parents to sign up to send in pumpkins and or come in to volunteer that day. When someone signs up, it takes off a slot so that only the allotted number of people can sign up. Once I have it all set up, I can share it with my parents in a number of ways. I can e-mail them right through Volunteer Spot, I can send them the link, or through social media avenues. I chose to e-mail the link to the sign up to my parents. 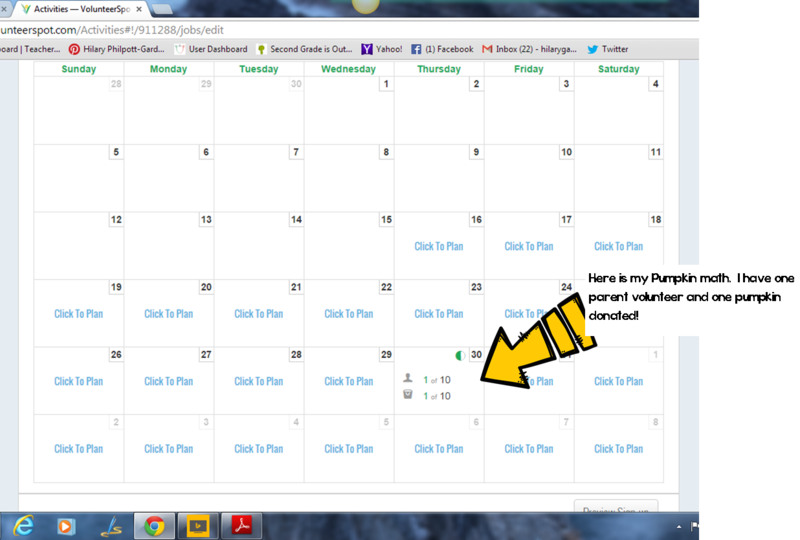 I also plan to use this to schedule my upcoming Parent Conferences. It will e-mail you (or not depending on how you set it up) when someone signs up. You can also print out your schedule once Parents have signed up. 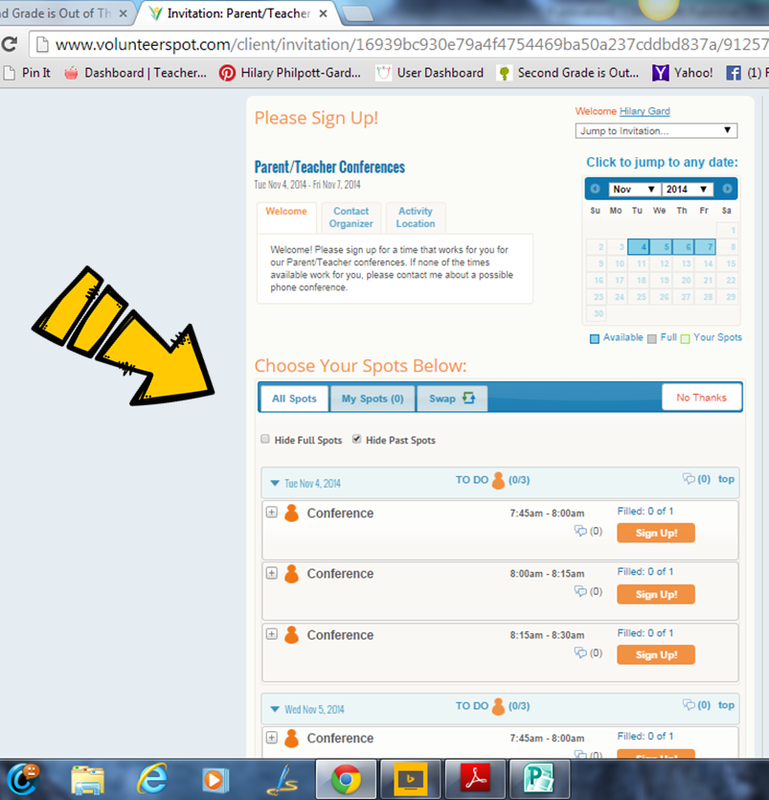 When I set up my parent conferences, I put in a time range and increment (our conferences are 15 min.) and it set up all the spots that I needed. Only one parent per slot can sign up. It is super easy to add or delete slots as well. It also gives parents the option to swap spots with someone if needed! I am so excited about this site! It says on their homepage you can even collect money! I hope you will find this site useful too! While you are at it, check out these other amazing bright ideas! Thanks for sharing! I'd never heard of this website, but it will sure come in handy! Thanks so much for stopping by Sally! It really is very easy to use and super convenient! Sounds like a great website to share a calendar of events for the classroom. Thanks for sharing. I know right! Thanks so much for stopping by ladies!